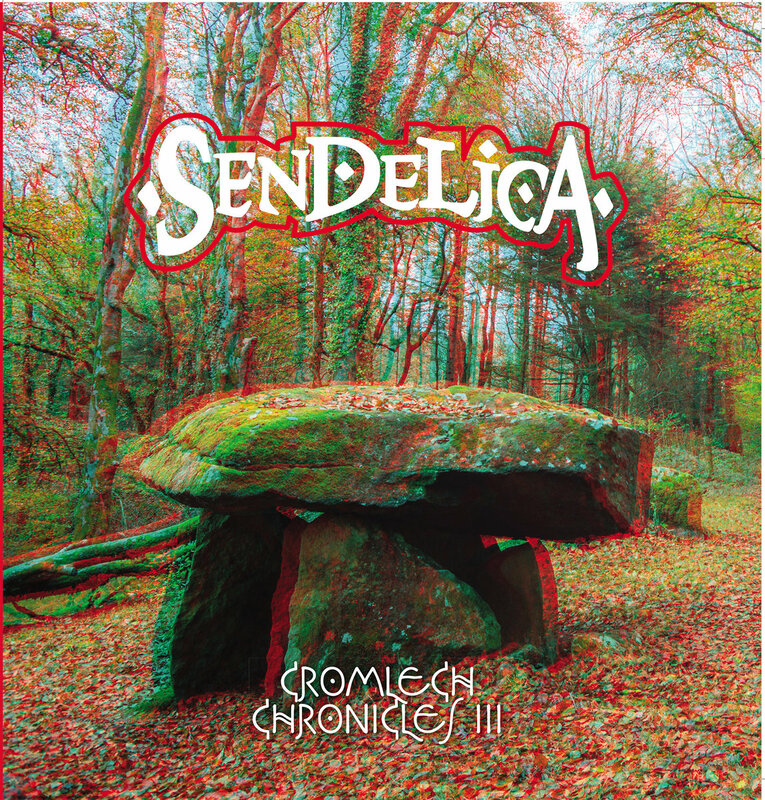 Welsh space rock masters Sendelica really seem to enjoy the atmosphere at Mwnci Studios in Western Wales since this is the fourth album they have recorded there. This time the just over one hour of new music is spread onto three 10" colour vinyl discs just for the fun of it! 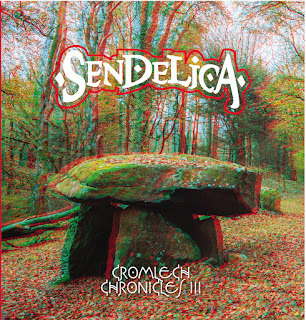 As always with these Cromlech sessions the core band (guitar, bass, drums, sax) is helped by guests (Gregory Curvey from The Luck of Eden Hall as the second drummer and Roger Morgan on keyboards). This time there is no singer involved. The album starts off with the heavy space rocker "BS". Some Black Sabbath and Blue Öyster Cult influences in there, perhaps? Sounds great, anyway. "Slow Burner" is a long, slowly evolving piece that has great rocking, slower stuff as well as some more ambient ending. I really like the vibe of the track. "12 Shades Revisited" is of course a return to the theme of a track originally released on the band's 2007 album Entering the Rainbow Light. Very cool, blissful stuff with jazzy saxophone. "Teifi Marshes" is another rather peaceful track but this time in a more positive, sunny mood. The longest track on the album is the 14:40 "Star Flower Blossom" that builds up really slowly and gets more intense towards the end. Things come to an end with "Lost City of Cardiza" that has an experimental intro and then gets pretty heavy and pounding. Another killer piece of psychedelic space rock! What can I say, Sendelica has done it again and produced a well-balanced, interesting, amazing and highly addictive album with great musicianship and production values. The 3D cover art will for sure look good as well. Just go and get it!